I first became aware of grant writing as a teacher more than 25 years ago. My first school grant was for $300 for additional teaching supplies. It was a short grant appropriately titled “A Mini-Grant”, and was funded by my district.Some 25 years later, I have written Federal grants, State grants, and foundation grants, most of which were funded. NOTE: if you have a popup blocker, please allow it permission to download the file. School Grant Funding Tips and Writing Narrative. I watched a less popular girl, Allison, walk up to a group of four girls who were playing a game of four-square. As she approached and asked, “Can I play?” she was quickly rebuffed. “The game is closed,” Janey, the ring leader, announced. Peaceful Playgrounds’ school, I was surprised at the response because of the “You can’t say, ‘You can’t play’” mantra. Allison, whose disappointment was obvious, turned to play another game. Fortunately, the playground was filled with alternate game choices and two other four-square courts. Allison selected one of those courts and soon was happily involved in another four-square game. This time she didn’t ask, but rather waited in line by the letter D.
Serious accidents which occur in schools typically happen on the playground. 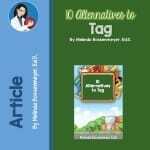 In fact, approximately 200,000 accidents each year send children to the emergency room for treatment of an injury which occurred on the school playground. The following tips will help you to ensure that children are safe on your playground. The National Program for Playground Safety (NPPS) recommends that the ratio of adult supervisors to children should mirror the classroom ratios. Given the value of recess in a student’s physical and social development and the need for periodic breaks from classroom instruction, using recess as punishment is inappropriate. 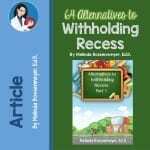 Listed below are some alternatives to withholding recess. 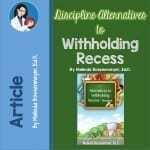 Given the many documented benefits of recess, it seems counterproductive to withhold recess for discipline reasons. The child who has difficulty sitting still is most likely a child that needs recess to decompress and burn off energy. Given the value of recess in a student’s physical and social development, coupled with the need for periodic breaks from classroom instruction, using recess as a punishment is inappropriate.Yet, in a national survey of principals, commissioned by the Robert Wood Johnson Foundation, more than 75% of principals state that their schools use recess as a discipline technique. Principals and schools continue to give unsatisfactory reviews to tag at recess. 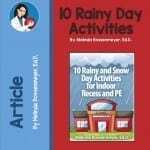 Below are 10 game alternatives for elementary school recess. “Physical activity has dramatic effects on individuals’ physical, & mental health,” according to Charles Basch in his report, Healthier Students Make Better Learners. Put simply, educational outcomes are directly influenced by health. It is no surprise that students’ fitness levels continue to be low and obesity and overweight categories in youth continue to climb, presenting cascading and troubling trends toward overall student health and fitness. A new study suggests that a simple solution for the impulsive child is physical activity. 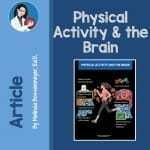 Published in the Obesity Reviews, researchers identified that the brain controls inhibitory control which regulates impulsive behavior. The research also found a link between neurocognitive functions relating to eating behaviors and exercise. 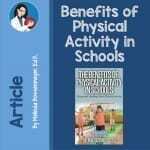 In other words, physical activity in school has a positive influence on impulsive eating and actions. 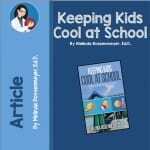 Keeping Cool in School: Too hot for recess? As most of the nation heads back to school facing triple-digit heat, schools face the challenges associated with outdoor recess and overheated classrooms. Principals and physical educators will face daily decisions regarding children’s heat health on the playground. In this article, we will review some information regarding different playground challenges and solutions to those problems. Of particular concern to schools is that “kids absorb more heat than adults while sweating less. 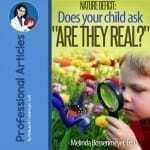 The result is kids have a greater propensity for heat cramps, exhaustion or heat stroke”, according to Dr. Melinda Bossenmeyer, also known as the Recess Doctor. Keeping Kids Cool at School: Too hot for recess? Most schools strictly enforce classroom rules and procedures in order to maintain a safe classroom environment for students. When students go to the playground for recess the classroom rules are not adequate for some playground behaviors. 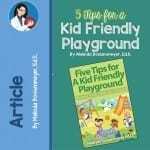 For this reason, playground supervisors or paraprofessionals sometimes find themselves without a protocol for handling discipline issues unique to the playground. When a child misbehaves on the playground the following suggestions may serve as a blueprint for “how to discipline” students in the outdoor less structured environment. 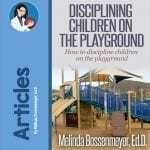 Featured article on How to Discipline Children on the Playground. 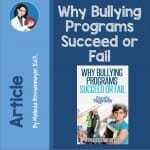 Why bullying programs succeed or fail? Natalie is not alone in her experience with school bullying. In fact, all fifty states have passed anti-bullying legislation which is indicative of the growing concern over bullying in schools. The tipping point has been the school shootings in which three-fourths of the shooters’ school histories are indicative of being a victim of bullying or experiencing on-going harassment. Additionally, 75% of students who carried weapons at school brought them to attack others because they felt persecuted, bullied, threatened, attacked, or previously injured by others while at school. (Data from the Secret Service Safe Schools Initiative. Bullying programs that work in schools. energy or calories. For health benefits, physical activity should be of moderate or vigorous intensity, according to the USDA. Some examples of moderate activities include: walking, biking, gardening, and hiking. Some examples of vigorous activities include: running, swimming, aerobic exercise, soccer and competitive basketball. 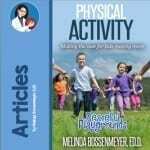 Simple playthings such as balls, jump ropes, hula hoops and riding toys, do more for encouraging physical activity on school playgrounds than swings, jungle gyms and other “stationary” or “fixed” playground equipment, according to a recent report in the American Journal of Preventive Medicine. 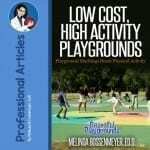 The findings are important because they show that school playgrounds and day-care centers don’t need expensive playground equipment to keep kids active. The data was collected by researchers from the University Of North Carolina School Of Public Health. Are they real? Nature Deficit.